Who doesn’t like a good comic strip? Every wonder what it would be like to have your pictures, life, or stories turned into one? Wonder no more! 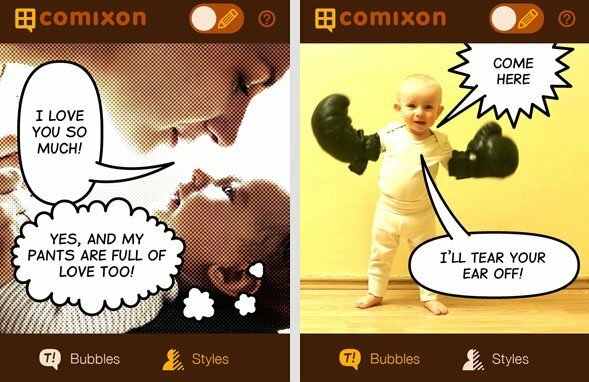 Comixon allows you to easily convert your pictures into a funny and adorable comic strip that you share with friends and family. The app is also a social network where you can see the amazing strips others are making. 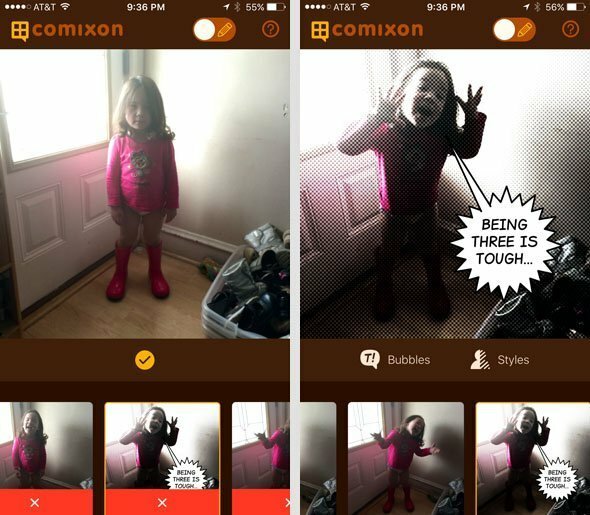 Comixon allows you to have a new experience with your pictures no other app has allowed before. Once registered you can begin creating your very own comic strips. Choose from pictures in your library, take pictures with your camera, or select stills from videos. The most pictures you are able to use in one strip is four. Once the pictures are selected, you crop them so they are a standard strip square. Be sure to not zoom in too closely as you need space to place the conversation bubbles! Crop the pictures to select the appropriate subject and a bit of space for the bubbles. Now the fun begins! Select an art style of your choice for each frame. Each style has a few different sub-styles you can sort through until each frame looks perfect for you. The next step is to add the text bubbles to each frame, position them the way you wish, and add the tail for the bubble. When you get your comic strip exactly the way you wish, publish it to your Comixon newsfeed. 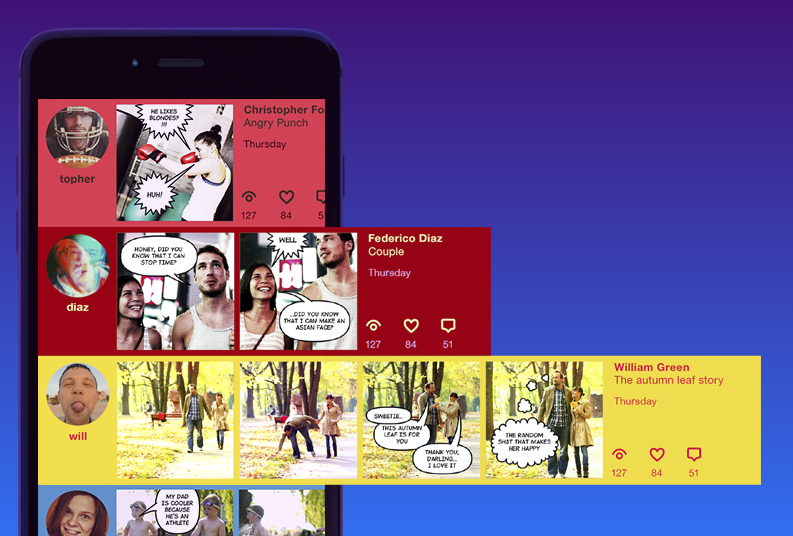 The newsfeed allows you to share you strips with others in the app. Other comic strip makers on Comixon will be able to like and comment on your strips as well. Make one strip or create an entire series, it is completely up to you. When publishing to your newsfeed, you also have the choice of publishing to other social networks like Facebook, Twitter, and Tumbler. In addition to sharing via social media, you can also email it or save it to your camera roll. As an app, Comixon is a lot of fun and gives new life to sometimes boring pictures. Being able to tell a story with your pictures is freeing. 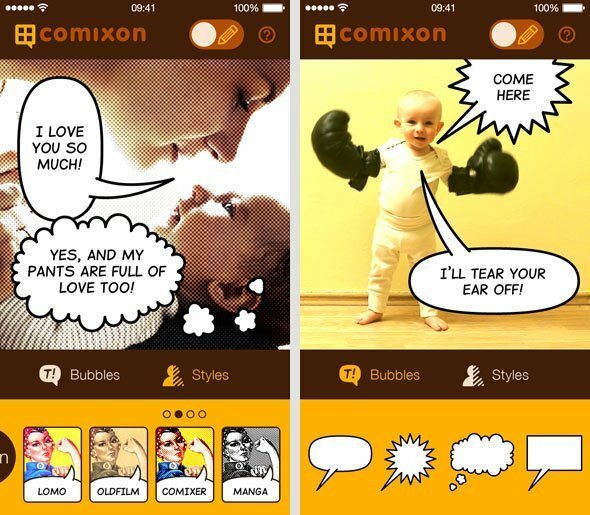 The social aspect of the app increases the fun and encourages you to be even more creative with your comic strips. The newsfeed is always bright, cheerful and engaging. The only thing I would wish for is a tiny bit of photo editing within the app. Some of the styles don’t look right when the image is shadowed in certain areas. Being able to brighten the image within the app would be a big bonus. Who Is It For:Those looking for a different way to showcase their photos and creativity. What I Like:The social aspect within the app is great. What I Don't Like:The inability to edit brightness and contrast within the app manually. Final Statement:Worth downloading if only to give new life to older pictures already hanging out on your phone. 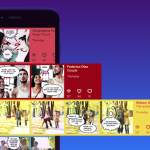 An innovative communication culture of comic strip stories inside an easy-to-use, social media app. Dive into a new image-sharing community with COMIXON! 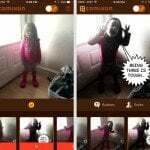 Get creative and turn your photos into captivating comic-strips to share with friends and family.